All this while, i was ripped of buying several clone smartphones.At first, i did not know what the real effects that i had to face when bought those clone Smartphones. It is all seem perfect as real one. My younger brother told me that there is only a little bit different between original and clone. In terms of RAM, camera and internal storage. A lot of comments about copy or clone phone was really convincing. Therefore, i was eager to have it one straightly. A real look as original makes you satisfied of getting the original looks with the low-budget expenditure. When take a look of clone Smartphone for the first time, i was kinda wondering, how its screen is, how its camera is and how long it could be lasting. For sure the seller will affirmed that these clone smartphones is the best copy as original. 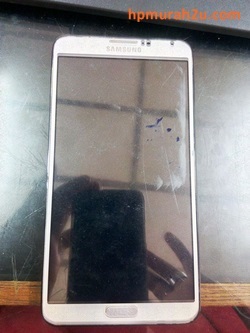 When i touched the screen of clone Smartphone, it is not smooth as an original low-budget phones. For instance, i bought a high-spec Note 3 clone, it was ample looks. I could not even find any different when hold it. I was straightly asked my friend to lend his original Note 3 to make a comparison.When i hold these clone and original Note 3 simultaneously, i felt that the weight is not much different. I was impressed. That was a trigger i started to urge my coworkers to buy a clone smartphones. There is not much different in terms of specification. I coax them to buy the high-spec clone. Even though its camera is not as real one, but it is good enough. The camera was stated as 13MP as the seller mentioned but it was a 5MP quality actually. I am yet to know what the effect of clone smartphones at the time. I even got an idea to sell a few clone smartphones. I started to make some marketing strategies. I had received so many orders via e-mail and calls. Back to effect of buying clone smartphones, Apart of its low-price,there is a major effect you will contend is battery's life. While browsing your phone, you will get super fast draining of your battery. I tried to skip to use my phone for some time, but how long i will do like that? I really miss to use my old original phone. I could even play any games for a long period. I will get bored. I was really felt so dumb at the moment. It is affected to my daily routine especially i have to check on my WhatsApp messages frequently. So, that is first major effects of clone smartphone. While feeling depressed on my battery's life, i had another silly error on my smartphone. Poor phone line coverage! Even though my friend were using a same phone line got a clear connection but i don't. Plus, my phone's line indicator was missing for some time. What is going on. I really did not expect that my phone's line will not be reach by callers. I had so received many missed call messages when i did restart my phone. I was told by seller there is no such error on my type of smartphone. How could it happened? Again and again. I was really frustrated. There is no warranty for such error apparently. This is the second effect of buying smartphone clone. Another weakness of smartphone clone is Port Charger. I have been told to use proper charger for charging. It is not the same as original, it is a little bit deeper than original. Please do not insert your clone charger recklessly. It will ruin your port charger. I had ever change a new port charger at cost RM 50. The " best things" is, my smartphone is always restart itself. I did not install any apps on my phone except WhatsApp and Facebook. It is happened when i am using my phone and i was very upset i will keep on and off my phone. Last but not least, i advise to all of you, please think a thousand times to buy a clone smartphone. Think it over. Otherwise you have make a choice to buy, please make sure that your clone smartphone is the best condition before you buy. I am not disparaging how the dealer convince their buyer, but tell them the truth. The choice is yours. Make a good deal. Please instantly return when your smartphone is getting error. 0 Comments for "Real Effects of Buying Clone Smartphones"